Get to know the app Cube Jump, a new highscore game of Ketchapp for iPhone, iPad and iPod touch. The gameplay is similar to Frogger, but even if there are no other similarities. By design, Cube Jump has been kept very futuristic, but the gameplay is easy to explain. Whether the Download is worth it, you will know from the following App Review for Cube Jump. Cube Jump fits into one of the arcade highscore games. So it is your main task as always to beat your own high score, but also the one of your friends. Here you’re just like the name suggests, a cube, which must jump from platform to platform. These platforms are not only different in size in Cube Jump, each row is also different in speed. In this way you can also make a mistake very fast and fall somewhere on the next platform or even fall down completely. At the beginning you are playing a white cube in Cube Jump. By collecting small squares that appear randomly on the platforms. With these you can unlock more characters. However, these have only appearance changes and do not change anything on the gameplay of Cube Jump. 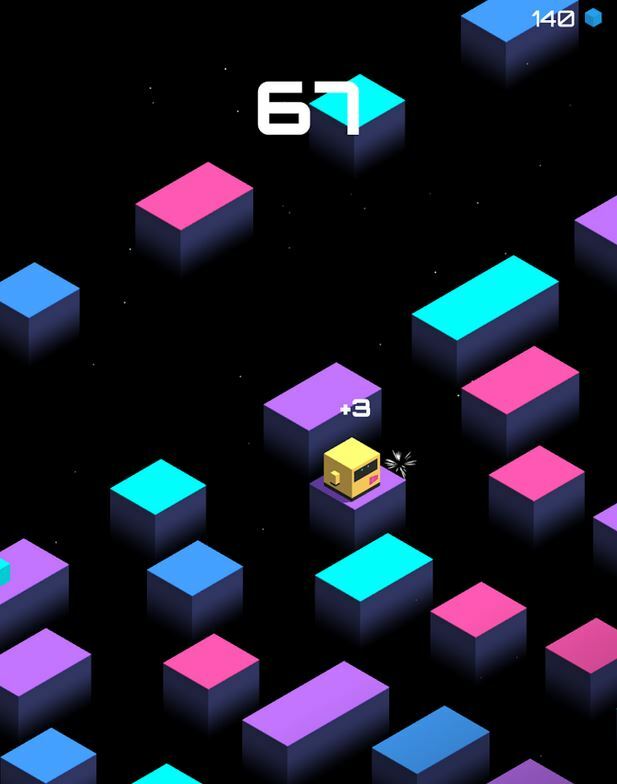 Cube Jump is a simple, yet addictive game for in between. Tapping on the screen and you jump from platform to platform. The real difficulty is to land on the next platform, since every next one always moves in the opposite direction. If you not responding fast enough, you will go out of the screen. The game is financed as usual via in-app purchases and advertising. Below the links to download Cube Jump for Android and iOS. Jump is available for iPhone, iPad and iPod touch in the iTunes App Store. iOS 6 or later must be installed in order to download the game. Be the first to comment on "Cube Jump: New highscore game by Ketchapp"